This Gimlet recipe is a classic cocktail made with gin, lime juice, simple syrup, and club soda for a light and refreshing beverage perfect for spring and summer! Swap the simple syrup out for Blackberry simple syrup for a berry twist on the classic! 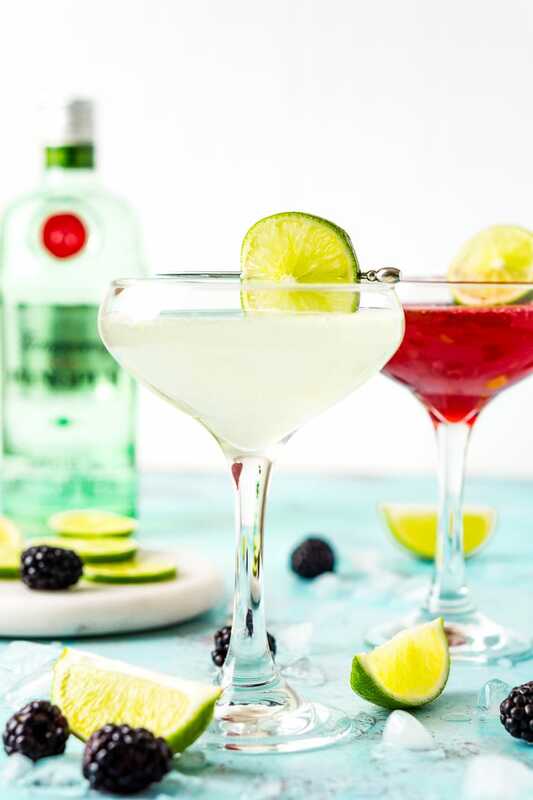 One of the best ways to welcome warmer weather is by sipping a crisp cocktail on a mild evening, and a Gimlet is a perfect way to ring in the spring season! What is a Gimlet? Well, it’s a lightly sweet, citrusy, and bubbly drink that’s simple to prepare and completely delicious! 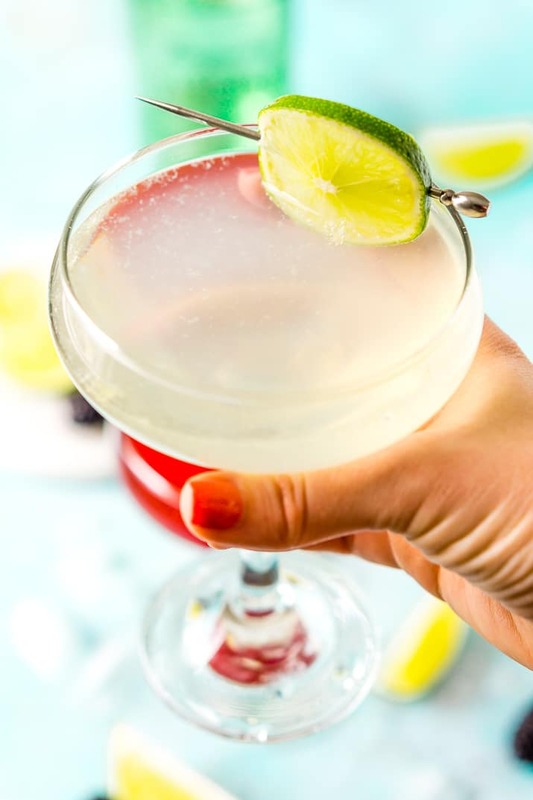 It only takes a few ingredients to mix up a Gimlet, which is made of two parts gin, one part lime cordial, a pour of club soda, and a lime rind for garnishing. You can use store-bought lime cordial, but to make that citrus flavor really pop, I like making my own! All you need to do is mix lime juice and simple syrup, and your Gimlet will taste so fresh, it’ll be worth the little bit of extra effort — I promise! Now that I’m an adult (sort of), I like having a few old-fashioned mixed drinks in my rotation. 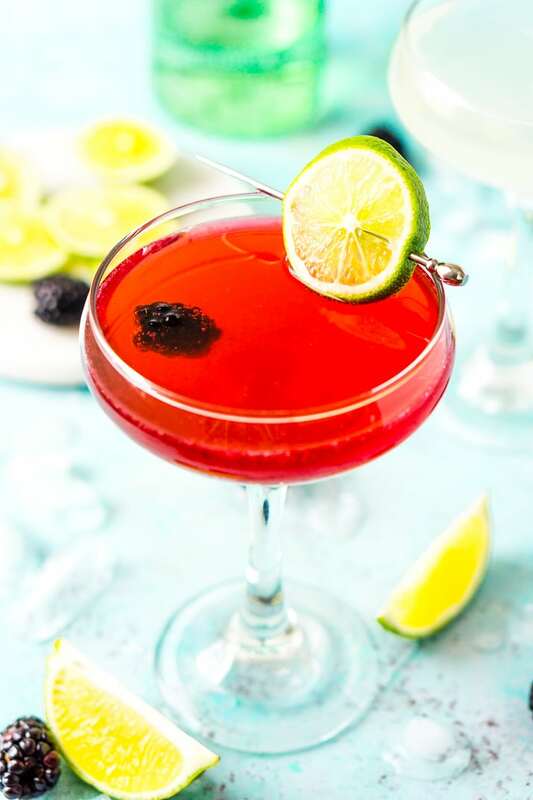 Don’t get me wrong, I love spiked punches and fruity sangrias, but I think everyone should have at least one classic cocktail “go-to” for when they want to keep it classy! 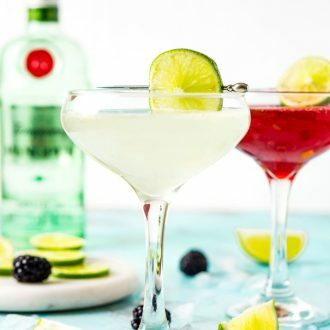 Gin drinkers will go crazy for this cocktail, but if you’re still getting acquainted with gin, a Gimlet is a great way to introduce it to your taste buds! With that said, you can always make this Gimlet recipe your own. Some people prefer Vodka Gimlets, which is a great variation if you either don’t like gin or you just ran out! Sometimes I like to add a twist to this recipe, especially when berry picking season rolls around. A dash of blackberry simple syrup adds a tasty dose of summery flavor to this recipe, plus it turns a pretty purple color (perfect for Easter, if I do say so myself). As the temperature rises and the sun starts setting later, consider making a refreshing batch of Gimlets to enjoy, from cool spring nights to balmy summer evenings. This classic cocktail is made with gin, lime juice, simple syrup, and club soda for a light and refreshing beverage perfect for spring and summer! 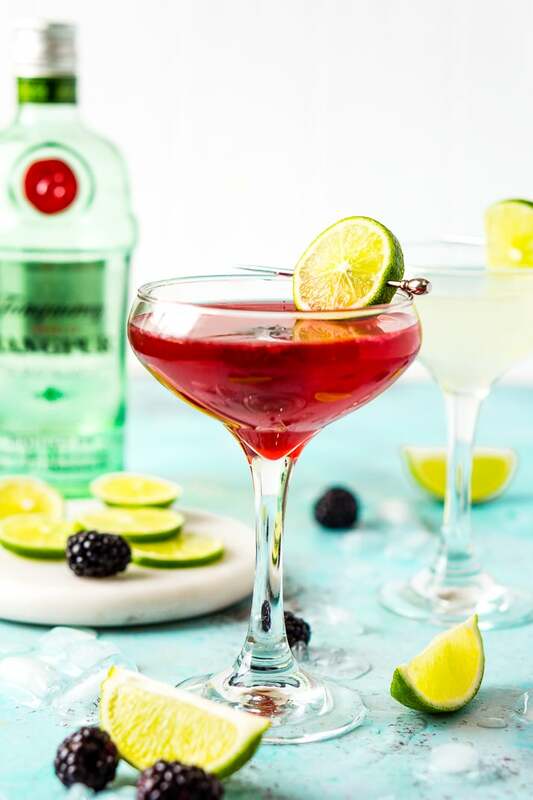 Add ice, gin, lime juice, and simple syrup to a cocktail shaker and shake for 10 seconds, strain into a cocktail glass. Top with a splash of club soda and garnish with lime slice or rind. I haven’t had gin in ages…you know how it is when you overdo a liquor… These drinks look so good, I need to see if I can fall back in love with gin. I definitely get that, gin is one of my favorites because I think it’s so versatile, I hope you find a love for it again too! Gimlets are one of my all time favorite cocktails! Will definitely need to try with the blackberry simple syrup- an ideal combination! !